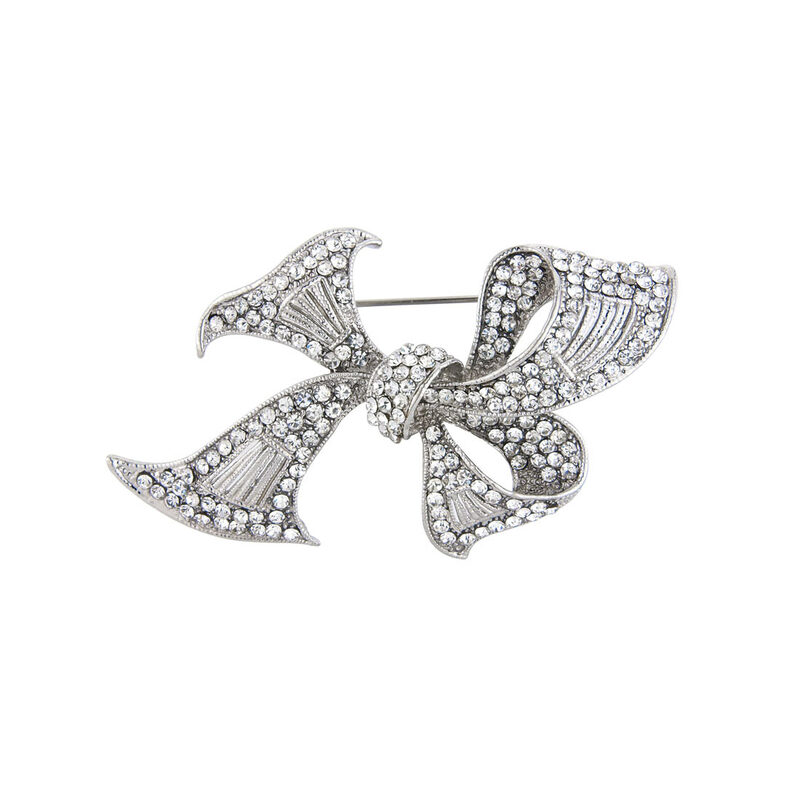 Difficult to tell apart from precious Art Deco brooches, this bow design is classic. If you saw this divine bow brooch in an antique boutique, you would think it was a precious Art Deco 'piece' adorned with diamonds and a four digit price tag. Beautifully capturing the design and detail of 1920s brooches, this silver tone design features a loosely tied bow encrusted with a myriad of sparkling crystals. With effortlessly chic style, this classic brooch can be worn pinned on a chic black sweater for a lunch date or high on the shoulder of a dazzling evening dress. Brides who adore Art Deco jewellery will fall in love with this. A beautiful wedding brooch for the bride, bridesmaids or mother of the bride, it enhances vintage inspired gowns to perfection and accentuates bow detailing. Absolutely beautiful. Finished my Bolero jacket off.